As we come to the end of a beautiful 2017 season at the Canoe Club Ballroom, we are excited to see what the 2018 season brings! From décor, to color trends, to cakes, we just love it all!! If you are starting your planning process and are pondering color options, you may want to consider the wonderful new color for 2018 “Ultra Violet”. Every year Pantone chooses a color for the year to come. Ultra Violet is a rich, gem-toned purple shade. Moody, dramatic and celestial all at once! You will start to see this luxe shade everywhere in 2018! 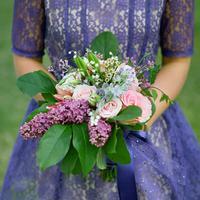 When planning your wedding, there are many ways to incorporate this deep purple into your wedding! 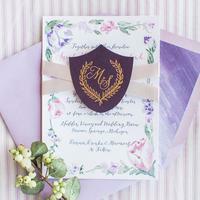 Your wedding doesn’t have to have a purple palette to feature the shade. You can always add a pop to your bouquet or have one of your cake tiers wrapped in a deep purple fondant to showcase the modern look. Now, if this shade is too purple for you, then you can take inspiration from one of its sister shades! Don’t Forget to contact the Canoe Club Ballroom for a Tour & Bridal Appointment! !